Emerging from a successful fifth anniversary, which saw the region's largest independent music festival attract over 52,000 fans, Euphoria Music Festival has released the first phase of its three phase lineup. 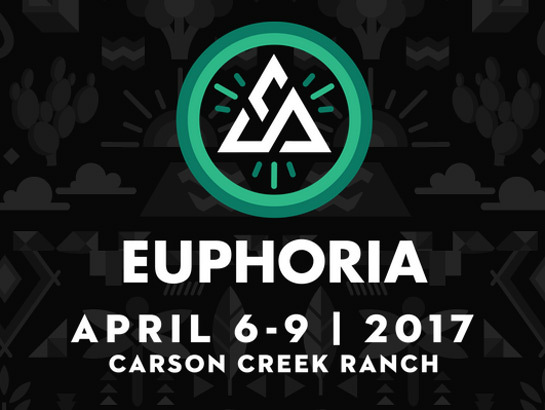 Returning to Carson Creek Ranch in Austin, Texas on April 6 through 9, 2017, Euphoria has pulled talent from around the globe- from Stockholm to Vancouver, Atlanta to Colorado, New York to Jamaica and even Kansas to Asheville. The first round of headliners for the highly-anticipated music and camping include superstar talent like Alesso, Young Thug, Pretty Lights, The Knocks, and Papadosio. Located just minutes from downtown Austin, the multi-stage music and camping festival promises to offer world-class visuals, unique stage designs, artist workshops, interactive experiential installations, enhanced camping options and much more. General Admission passes are available now for $129, plus fees for a 3-Day festival pass and $219 for a 3-day festival pass with camping, so grab your tickets now before prices go up! You can check the links below for more info!